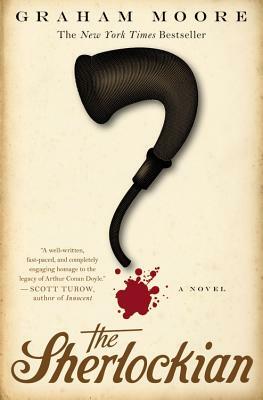 Hurtling from present day New York to Victorian London, The Sherlockian weaves the history of Sherlock Holmes and Sir Arthur Conan Doyle into an inspired and entertaining double mystery that proves to be anything but "elementary." In December 1893, Sherlock Holmes-adoring Londoners eagerly opened their Strand magazines, anticipating the detective's next adventure, only to find the unthinkable: his creator, Arthur Conan Doyle, had killed their hero off. London spiraled into mourning-crowds sported black armbands in grief-and railed against Conan Doyle as his assassin. Then in 1901, just as abruptly as Conan Doyle had "murdered" Holmes in "The Final Problem," he resurrected him. Though the writer kept detailed diaries of his days and work, Conan Doyle never explained this sudden change of heart. After his death, one of his journals from the interim period was discovered to be missing, and in the decades since, has never been found.... Or has it? When literary researcher Harold White is inducted into the preeminent Sherlock Holmes enthusiast society, The Baker Street Irregulars, he never imagines he's about to be thrust onto the hunt for the holy grail of Holmes-ophiles: the missing diary. But when the world's leading Doylean scholar is found murdered in his hotel room, it is Harold-using wisdom and methods gleaned from countless detective stories-who takes up the search, both for the diary and for the killer. Graham Moore is a New York Times bestselling novelist and Academy Award winning screenwriter. His screenplay for THE IMITATION GAME, starring Benedict Cumberbatch and Keira Knightley, won both an Oscar and a WGA Award in 2015, and was nominated for a BAFTA and a Golden Globe. The film received 8 Academy Award nominations, including Best Picture. Graham's first novel, THE SHERLOCKIAN (2010), was translated into 15 languages. It was called "sublime" and "clever" and "delightful" by the New York Times, "savvy" and "entertaining" by the Los Angeles Times, and lots of other nice things as well. "Sly self-awareness keeps THE SHERLOCKIAN smart and agile, [and] it's possible to enjoy this book's laughable affectations and still be seduced by them... it is anchored by Mr. Moore's self-evident love of the rules that shape good mystery fiction and the promises on which it must deliver." "A truly terrific mystery ... Witty and breezy, yet [it]manages to explore the toll taken on Doyle by having created a character so beloved that the creation obscures the creator ... For a first book - actually, for any book - this is impressive. Among its virtues is a feel for the gas-lamp Victorian world. As we read, we understand Doyle's impatience with his world as well as [Harold] White's yearning to return to it ... The Escher like patterning of real life on fictional reconstruction, complete with murder, related rissoles and tentative love story all come off without a hitch. For mystery lovers, this book is a treat. For Sherlock Holmes lovers, it is indispensible."